MECHANIC | Pop Culture | Super Rare | You can drive it. You can fix it. You are the total package. 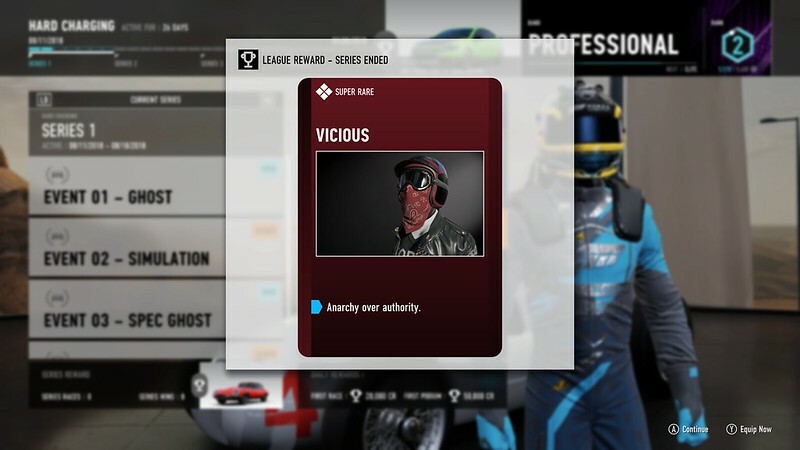 The ForzaRC Pro-Am Bounty Hunter will have up to 16 rewards available to players. 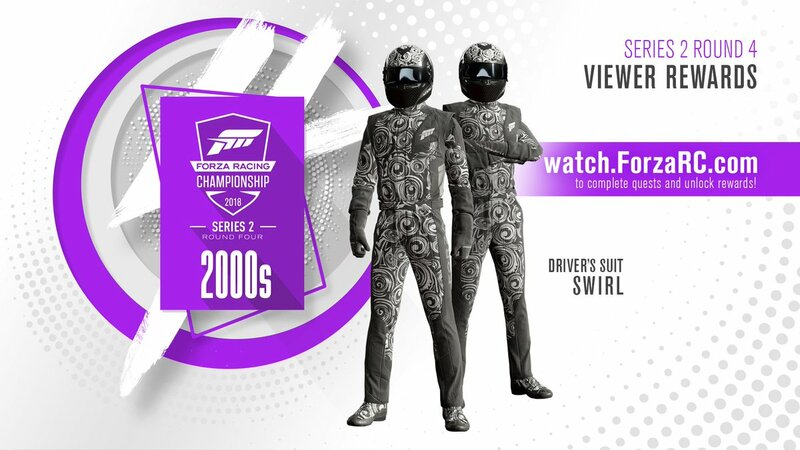 Most of these rewards will be revealed during our livestream show, with each ForzaRC driver selecting the rewards they want associated with their teams. You’ll have multiple ways to earn rewards; first up, you’ll get rewards based on how your associated team finishes on the event leaderboard. 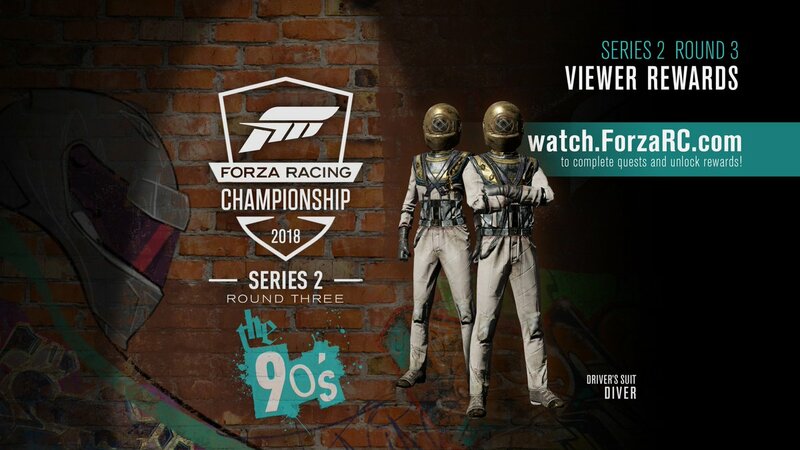 Tune in at Noon Pacific August 15 at https://watch.forzarc.com/ and complete the Quests to earn the in game rewards. 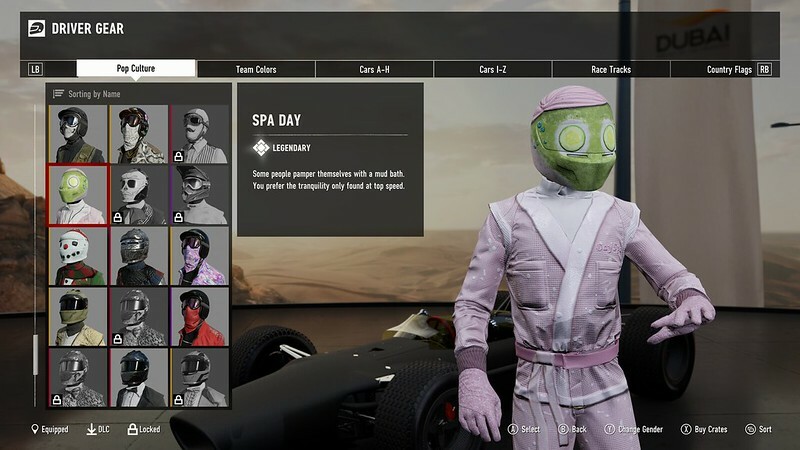 Be sure to Claim the reward before the stream ends. 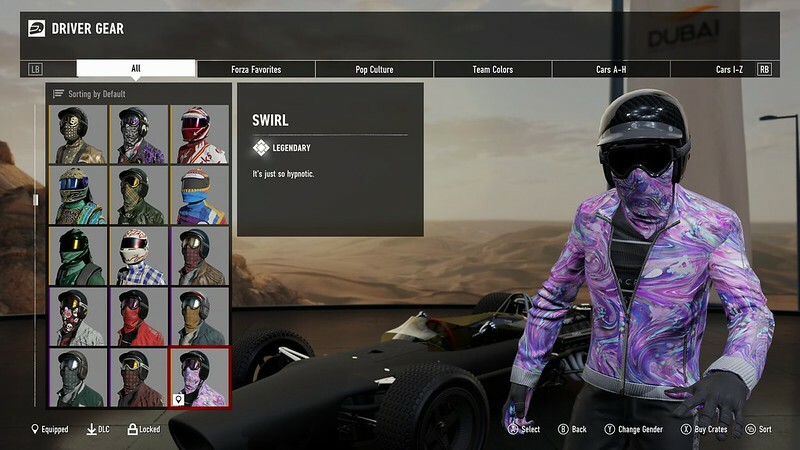 The same rewards will be available during the 6pm Pacific stream. DIVER | Pop Culture | Legendary | Protect yourself from deep waters and dangerous curves. 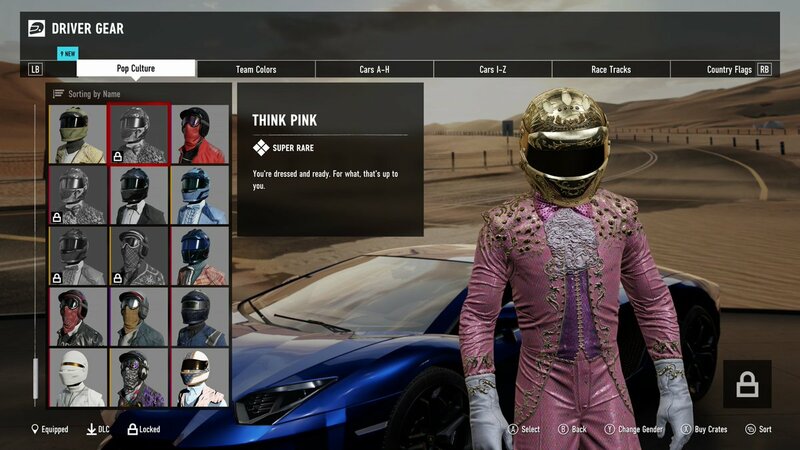 THINK PINK | Pop Culture | Super Rare| You're dressed and ready. For what, that's up to you. RIVETING | Pop Culture | Super Rare| You're no stranger to the strength of metal. SWIRL | Pop Culture | Legendary | It's just so hypnotic. SPA DAY | Pop Culture | Legendary | Some people pamper themselves with a mud bath. You prever the tranquility only found at top speed. 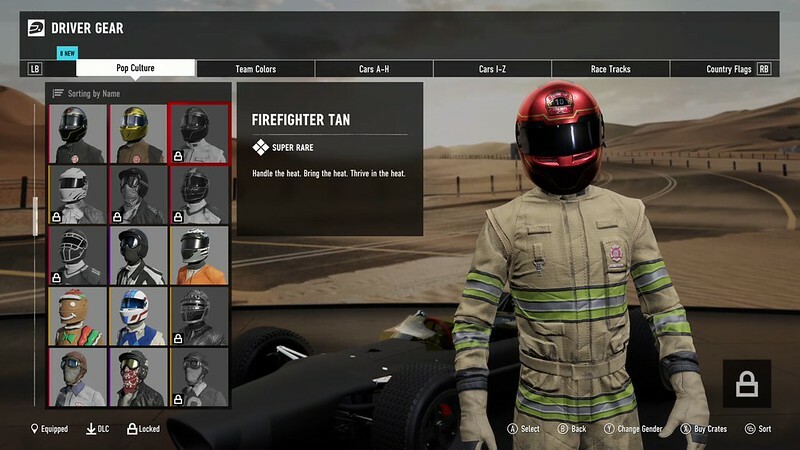 FIREFIGHTER TAN | Pop Culture | Super Rare | Handle the heat. Bring the heat. Thrive in the heat. 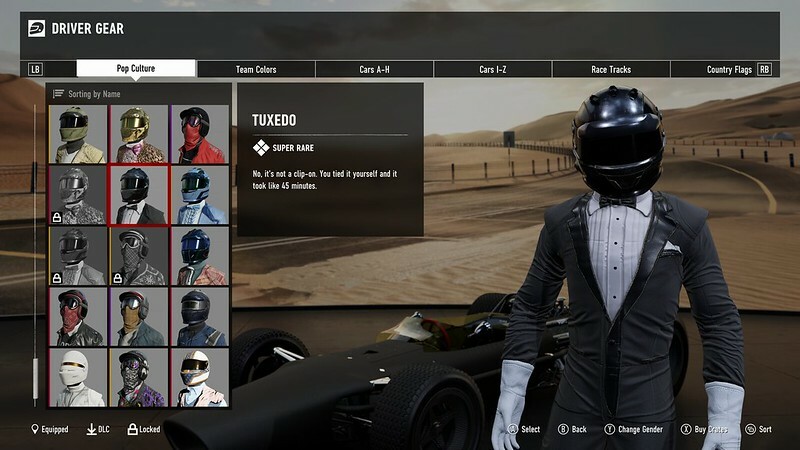 TUXEDO | Pop Culture | Super Rare | No, it's not a clip-on. You tied it yourself and it took like 45 minutes. 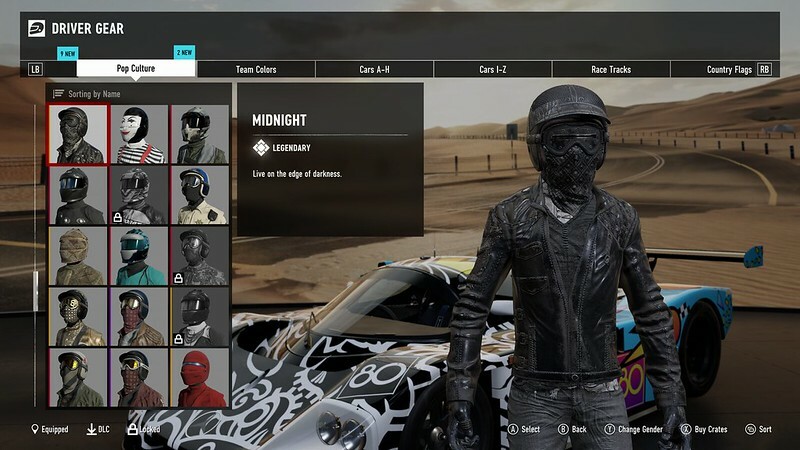 Any info how to unlock the new (?) 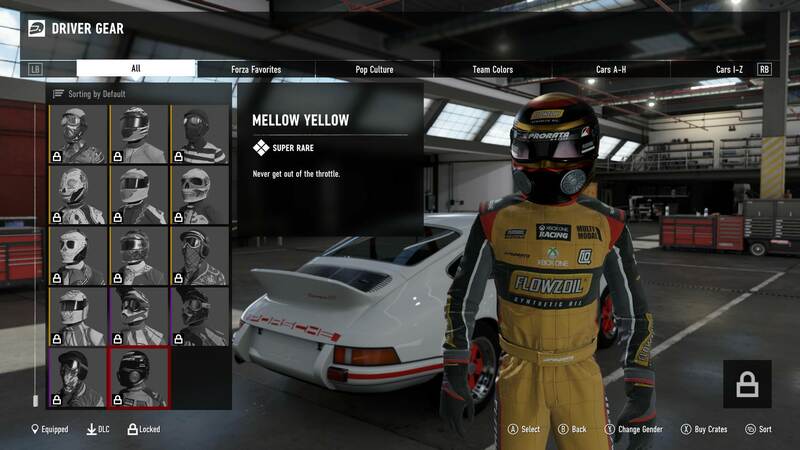 MELLOW YELLOW driver gear. 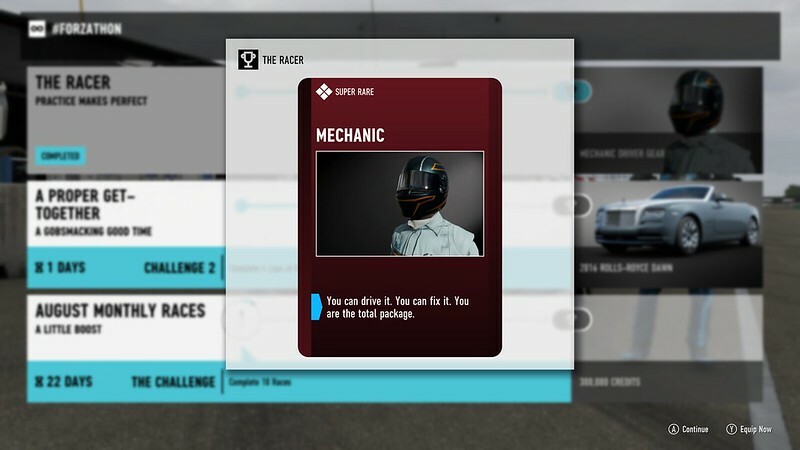 Some were available in crates but I found that some require reaching a certain level. 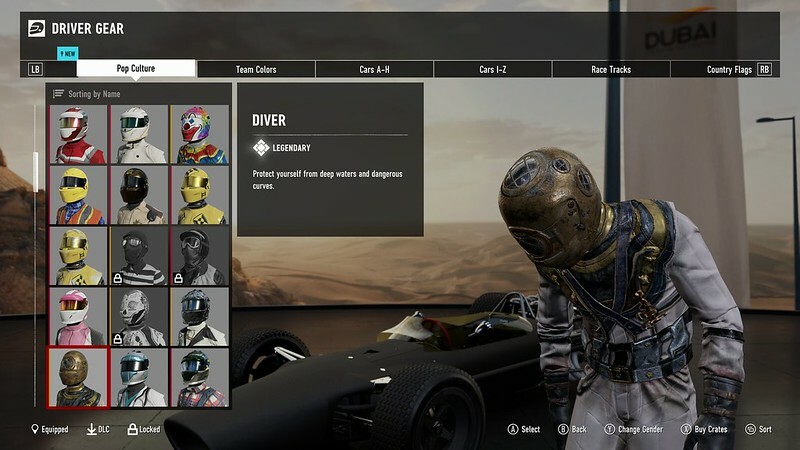 Once I reached a collector car level of around 30 the last two manufacturers' suits I was missing were offered as level up rewards. If I recall correctly one was Aston Martin. 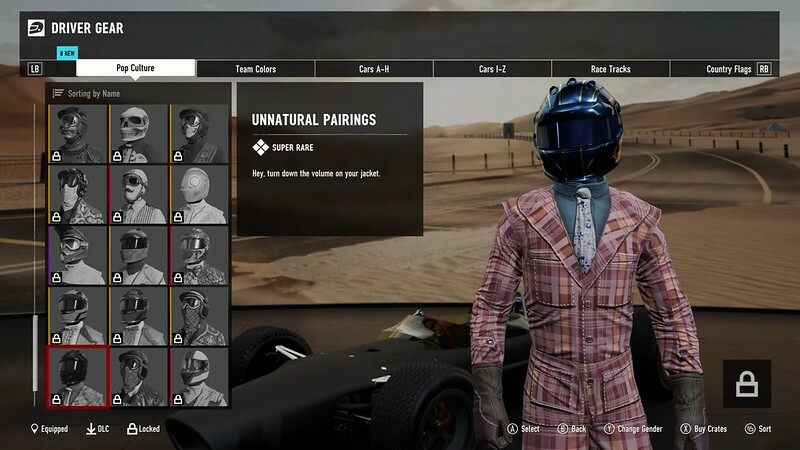 Don't recall the other..
Gear head who only uses the Xbox for racing sims. Set up: Xbox One Slim, Thrustmaster TMX Wheel, GT Omega wheel stand. 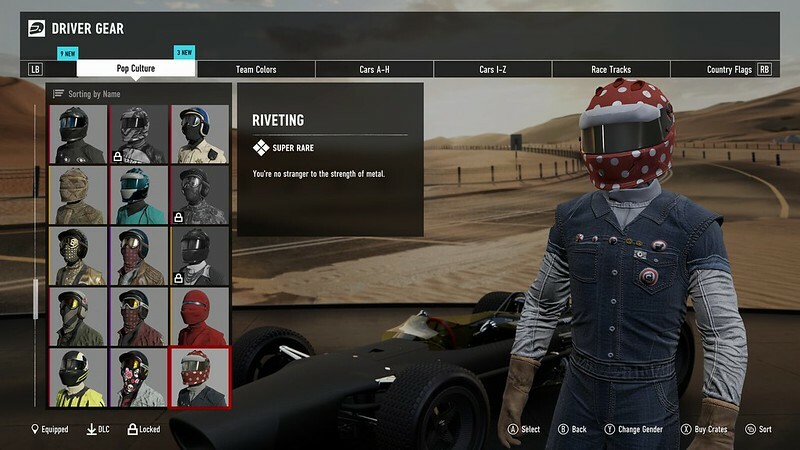 Just custom helmet designs like car liveries thanks very much! 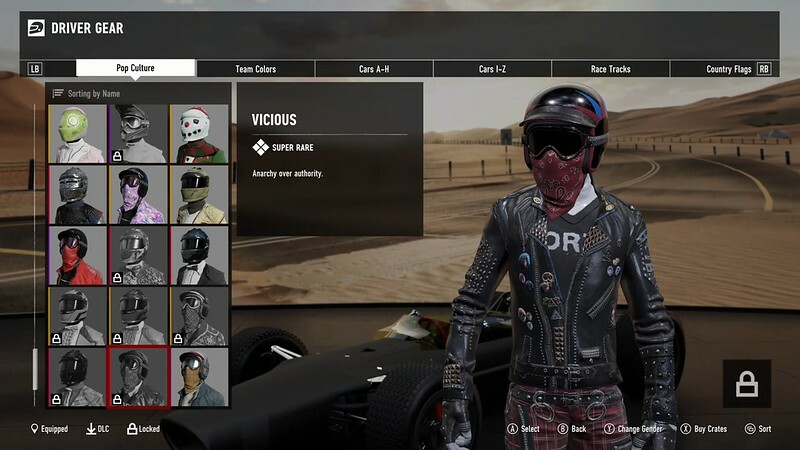 Hey guys, Anyone know how to get the Skelleton suit, appreciate it thanks! 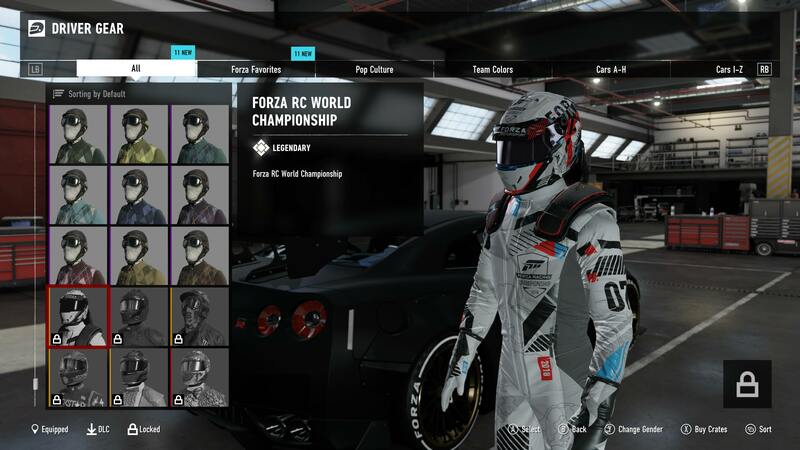 Any idea if one can get access to the Forza RC - Forza Racing Championship and Forza RC Seattle driver gear? (I missed the livestreams due to travel)? Thanks! 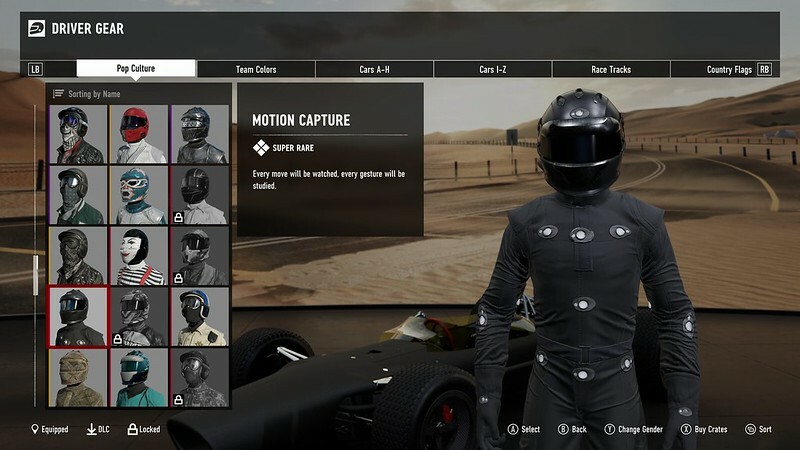 That could be possible (or at least doable, if implemented for this "one-off" items).